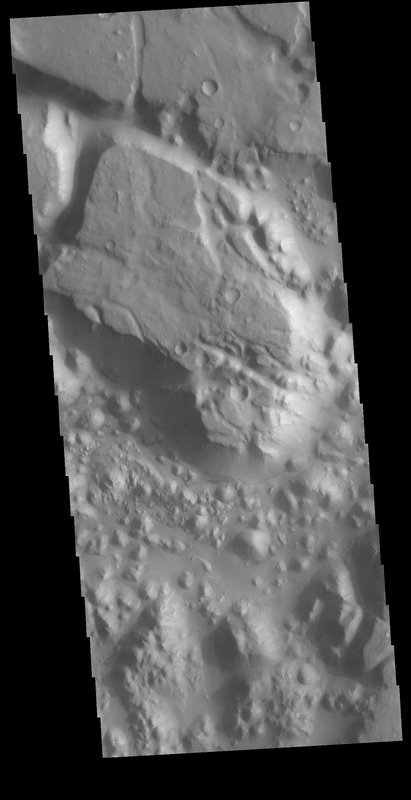 Today's VIS image shows a small section on Margaritifer Chaos. The term chaos is applied to regions where the surface is being eroded to form mesas. As the surface processes continue individual mesas become more isolated and take on the appearance of regions of hills. At the top of the image is Margaritifer Terra, which is being dissected into large mesas. Towards the bottom of the image the mesas have been eroded into smaller hills.